ALL NATURAL BLACK BUNDLES 12"-26"
I WOULD FIRST LIKE TO SAY HELLO TO EVERYONE MY NAME IS SHALA THE OWNER OF ROYALTY SALON AND YOU'LL BE GLAD YOU FOUND ME. 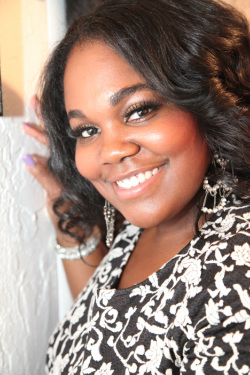 ROYALTY SALON IS THE NUMBER ONE PLACE FOR HAIR WEAVING AND NATURAL HAIR CARE IN THE DFW AREA. OUR MOTIVES ARE TO PUT ALL OF YOUR HAIR CARE NEEDS AND CONCERNS FIRST. I'VE BEEN IN THE COSMETOLOGY INDUSTRY FOR THE PAST 13 YEARS AND I FIND IT VERY REWARDING TO SEE GROWTH AND RESULTS IN MY CLIENTS HAIR AS WELL AS BUILDING GREAT STYLIST TO CLIENT RELATIONSHIPS. HERE AT ROYALTY SALON IT IS OUR DUTY TO GIVE YOU NOTHING BUT OUR 100% BEST. IF YOU HAVE BEEN LOOKING FOR A SALON HOME THAT WILL NOT ONLY MAINTAIN BUT GROW AND KEEP THE HEALTH OF YOUR NATURAL HAIR OR HAVE BEEN SUFFERING FROM UNHEALTHY DAMAGED HAIR THEN LOOK NO FURTHER ROYALTY SALON IS JUST RIGHT FOR YOU! I FEEL THAT ROYALTY SALON IS THE VERY BEST AT WHAT WE OFFER. WE GIVE A GREAT CLIENT EXPERIENCE WHILE GIVING YOU THE TOTAL AND COMPLETE PACKAGE OF BEAUTIFUL, NATURAL, HEALTHY HAIR AND THE BEST SEW-IN WEAVES THAT THE DFW AREA HAS TO OFFER. ONCE YOUR HAIR HAS BEEN TOUCHED BY ROYALTY YOU WILL RETURN GUARANTEED!